A broken, blocked, or leaking toilet can be a real annoyance and usually occurs at the worst possible time. Luckily one call to Brisbane Plumbing and Drainage on 1300 740 206 is all it takes to get the problem sorted both quickly and efficiently. Our highly experienced plumbing team carry the most advanced equipment that can locate the source of the problem fast! If it’s a clogged drain then we’ll find it quickly. As a result we guarantee that you won’t be faced with a large bill for any unnecessary work or ‘potentially costly’ investigations. 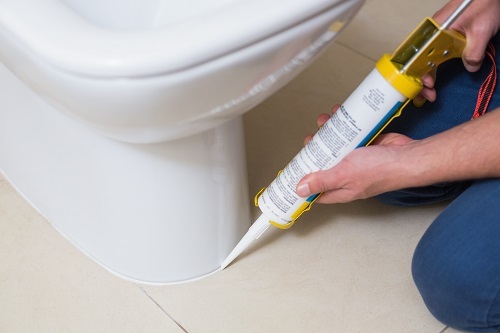 It’s good to know that if your toilet is leaking badly or is backing up then you can rely on Brisbane Plumbing and Drainage. Whatever time of the day or night you can call us and we’ll be there. As well as the latest equipment our plumbers also carry a wide variety of spares in our vans, so chances are that we can fix the problem there and then. If the issue is more complex, or you need a particular part that we don’t carry, then at the very least we won’t leave you without a functioning toilet. What’s more we’ll come back first thing during working hours and have you back up and running. Our emergency plumber is available 24 hours a day, 7 days a week, so whether it’s Sunday morning at 3 am or smack in the middle of a public holiday, you can rely on us! It isn’t uncommon for tree roots to enter a sewer drain system as they grow. When they do they can cause your toilets to block up. In cases such as these we use a high pressure Jet Rodding system to cut through tree roots and clear the pipe. Rough edges from broken or cracked pipes can catch and trap anything passing through it. As it does so waste can start to back up causing a blockage. The first thing we’ll do in this situation is to clear the blockage so you have a functioning toilet again. Then if we suspect a broken or cracked pipe we’ll suggest putting an inspection camera down to see if we can locate any damage. If there is damage our plumbing team can recommend the necessary pipe repairs. Often when objects are flushed down the toilet that aren’t supposed to be there such as baby wipes, sanitary pads, and even kids’ toys, which can easily get lodged in the sewer pipe. When this happens it can over time cause a severe blockage. We can clear the problem quickly using professional rodding equipment. If you have a blocked, broken, or leaking toilet then call in the professionals at Brisbane Plumbing and Drainage. Our highly experienced plumbers have the skills, experience, and the equipment to fix even the most challenging of problems fast call now on 1300 740 206.